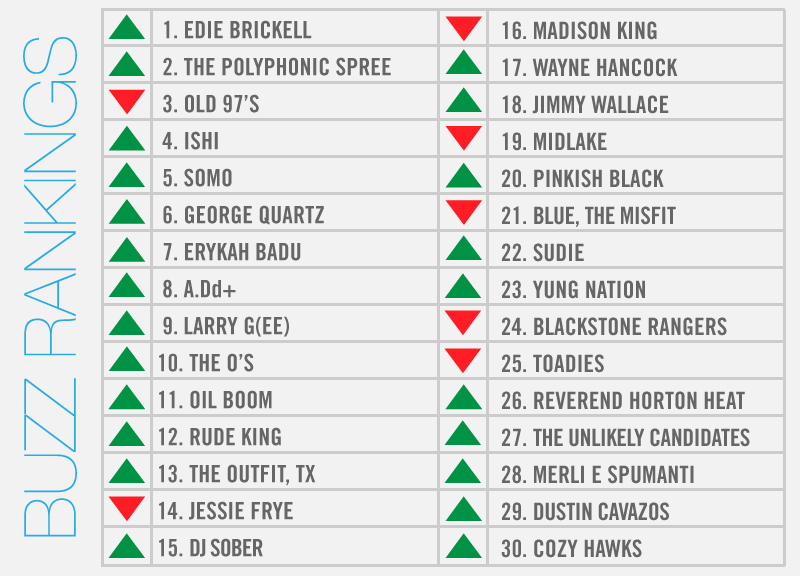 This Week, Edie Brickell Fought Her Way To The Top. It's been quite a week for one-hit Dallas luminary Edie Brickell and her famous husband, Paul Simon. The pair have been making national headlines all week long since getting arrested on Saturday after the police were called to the couple's Connecticut home in response to a domestic disturbance. Since then, the couple has been trying its damndest to brush the whole thing off as a non-event: They released statements to the press about how orderly their conduct actually is; they showed up together at a scheduled court appearance while holding hands; and they made sure that everyone within earshot knew they were going to watch their son's baseball game together. And just today, lest anyone wasn't yet satisfied or just so completely over the frivolent matter, Brickell and Simon kept up their PR offensive by posting to Brickell's SoundCloud account a new duet called “Like to Get to Know You.” The song is about a couple eager to rekindle its dimming flame. Maybe the Simon family should learn to quit while it's not so far behind? Maybe. But this entire kerfuffle was everywhere this week, and that proved enough to earn the “What I Am” singer her first-ever trip to the top of our weekly local music power rankings. Not far behind Brickell in this week's rankings was five-time buzz champs The Polyphonic Spree, which put on a free show as part of last weekend's Earth Day Texas festivities. And just behind that plus-sized outfit was four-time champs the Old 97's, which released its rather spectacular tenth studio LP this Tuesday. Also well-represented in this week's list were locals that showed up on festival lineups. Jessie Frye, for instance, opened up last weekend's EdgeFest. Meanwhile, this weekend will see Midlake, Ishi, Larry g(EE), A.Dd+, Yung Nation, SoMo, The O's, Rude King and Reverend Horton Heat each appearing at the first-ever — and Rolling Stone-approved — Suburbia Music Festival. Elsewhere: The always-interesting George Quartz helped break in Trinity Groves' newest DIY performance space: Sudie and Cozy Hawks each released new jams; and Merli e Spumanti made its live debut. Previous ArticleA Lack of Sense.